Conferring with students is a unique and significant opportunity to learn about what a student is doing as a reader/writer as we engage with them side by side in the reading/writing process. Conferring tools are a way to capture that interaction in a brief record that reminds the teacher what was discussed, whilst leaving the learner with the confidence and knowledge to know what they are doing well and what they can do to continue to grow. 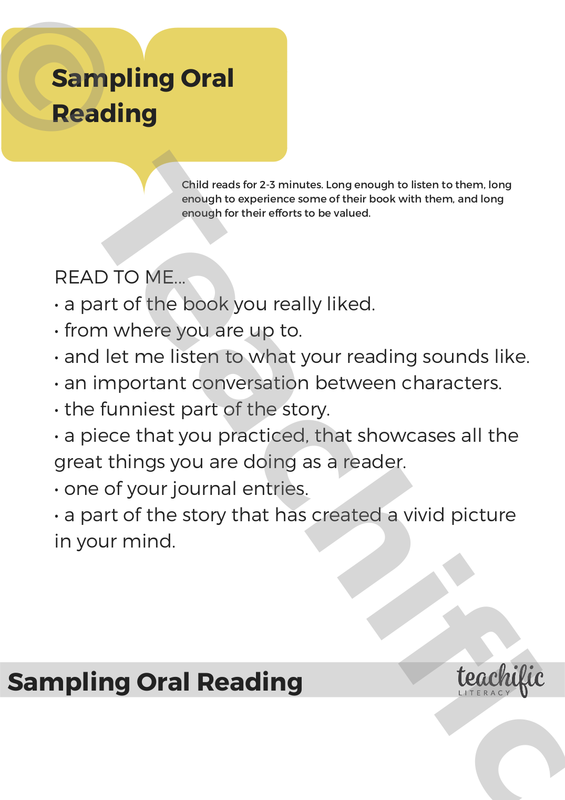 Try this handy flip book to support side-by-side conversations with your students about a familiar book he/she is currently reading. 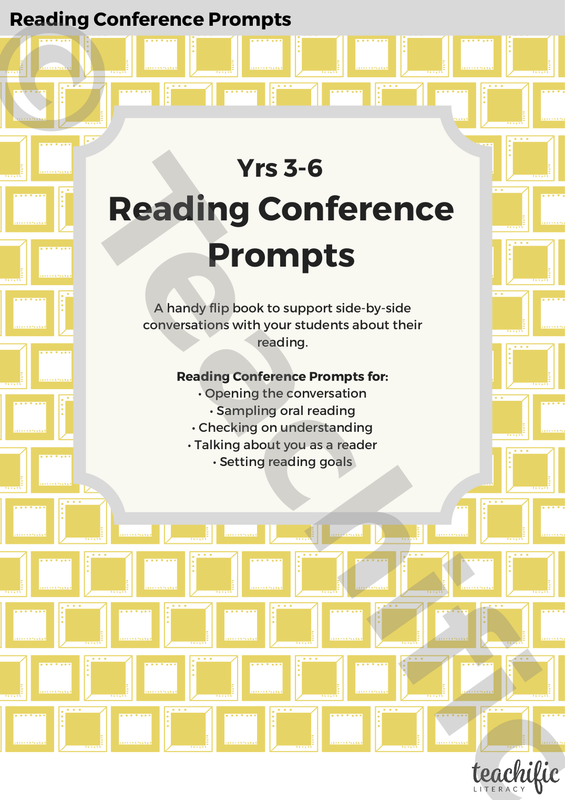 This is particularly useful if reading conferences are new to you and you are looking for an effective format that will lead you into effective conversations. Each prompt page offers a collection of possible prompts from which you can choose. This is designed as a teacher Flip Chart. Staple sheets at the top, or bind with spiral binding. You will notice a grey strip on the bottom of each page. Cut off the white section below the grey strip and you will be left with each grey strip showing. 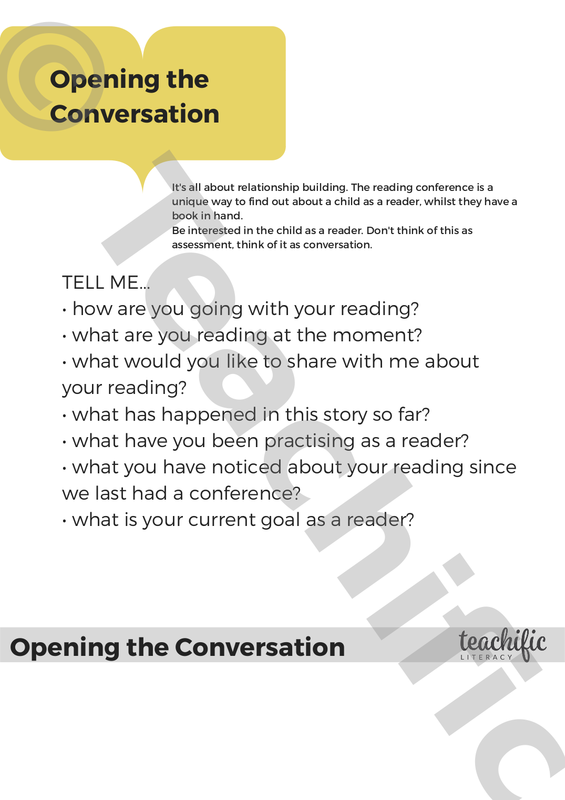 This will enable you to quickly turn to each Reading Conference Prompt section.